It has to be said, that Germany is one of the best places in Europe for bicycle touring. A network of well signed cycle tracks criss-crosses the country, with perhaps the most famous being the River Danube cycle path. I've been fortunate to have cycled this path twice, once when cycling from England to South Africa, and again when cycling from Greece to England. On both occasions, I noticed numerous other cycle routes leading off from there, and always wondered if I would ever have the chance to explore them. In the summer of 2017, I finally got the chance! I was invited to cycle the Danube-Lake Constance route by Oberschwaben Tourismus, who were looking to promote cycle tourism in the area. They kindly put the trip together for me, and arranged bike hire and accommodation along the way. When I think about it, this was my first taste of a ‘cycling holiday' where everything was arranged for me. Strange, when you consider that I have been bicycle touring for over 15 years now! What is the Danube to Lake Constance Cycle Route? 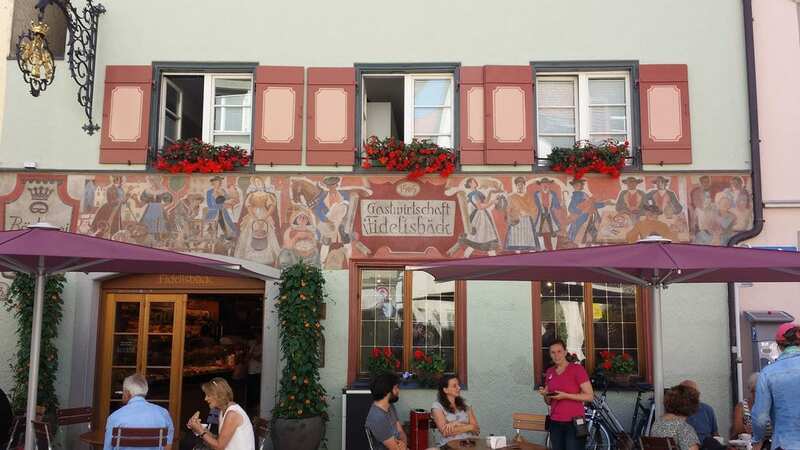 The cycle route begins in the German city of Ulm, and finishes at Kressbronn on the shores of Lake Constance. It's approximately 153 kms in length, and is best divided over 4 days of cycling. This allows plenty of time for sightseeing along the way. The Danube to Lake Constance cycle route is also known as the Donau-Bodensee Radweg, and is well marked throughout its length. The route is marked in red on the map below. The route itself predominantly uses cycle paths, quiet country lanes, with the occasional stretch on road. The way is sealed, and passes over gently undulating countryside. In my opinion, anyone with a moderate level of fitness can easily ride the Danube to Lake Constance cycle route. There is an official English website with lots of information about the route and what there is to see along the way here. Ulm (Start point. Afternoon sightseeing. Stayed 1 night). There was also a lot to see along the way! I'm going to break everything down day by day, and then also include a section at the end of information you might find useful if you plan to cycle the route yourself. It's a great European short break idea! As no cycling took place on this day, I'm calling it day zero! After arriving in Ulm, I checked into my hotel (Akzent-Hotel), and then met up with a guide for some sightseeing. As I've already written about that, I'm not going to cover it again. Instead, you can check out the full blog post here about sightseeing in Ulm, Germany. With the sightseeing over, I had dinner, and then headed back to the hotel to check the bike out. The tourism board had organised a hire bike for me to use during the River Danube to Lake Constance cycle route ride. This part of Germany has plenty of bike hire places, due to the popularity of the River Danube trail. In addition to the bike, they had also left me a couple of panniers, and a handlebar bag. For the next few days, these would stay relatively empty. Why? Well, they had also arranged baggage transfer between each stopping point! I'm not going to debate the environmental issues involved here, but have to say, it's a lot easier than hauling your own bike touring gear all the while! 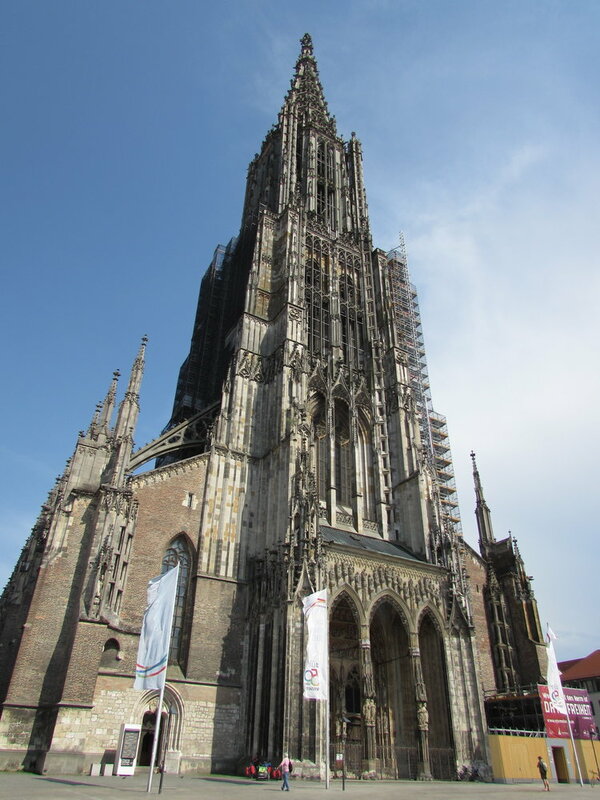 After breakfast, I headed out to Ulm Minster to film the first part of my vlog for the day, and then began the cycle ride towards my first stop at Laupheim. The one slight drawback, was that the map of the route had somehow become lost in transit. As it turned out though, I didn't really need one. On this initial stage, it was simply a matter of cycling down to the River Danube, and then turning right to cycle along its banks. All I then needed to do, was keep an eye out for the sign posts at the point that the Danube route and the Danube-Lake Constance cycle route diverged. My first stop of the day, was at a brewery in Laupheim where I was going to take a tour. Due to some diversions along the way, I arrived about half an hour late, and so unfortunately missed it! I'm sure back in my drinking days, my day would have been ruined! 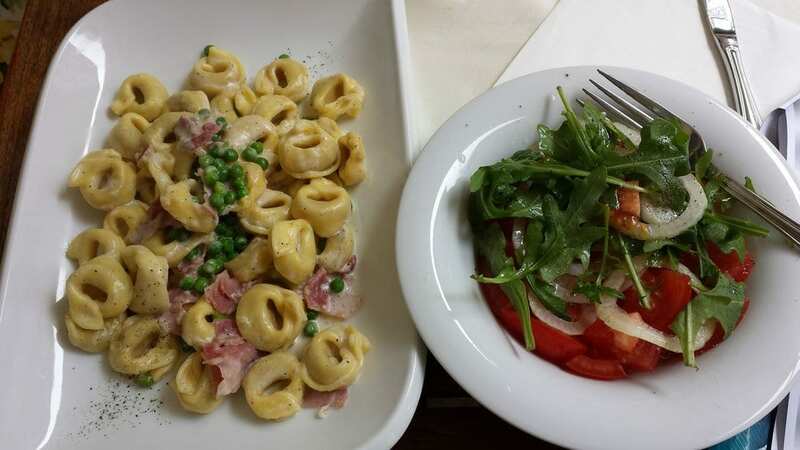 Still, every cloud has a silver lining, and it meant I could stay longer at my lunch stop at Ristorante Rossle. I continued cycling towards my final destination at Hotel zur Riss in Biberach an der Riss. As with my previous hotel, and the subsequent ones, there was somewhere safe and secure to leave my bike, and I arrived to find that my baggage had been successfully transferred. After a shower and quick snack, I left the hotel to meet up with a guide in Biberach. He was a bit of a character, and showed me all the highlights of the town. 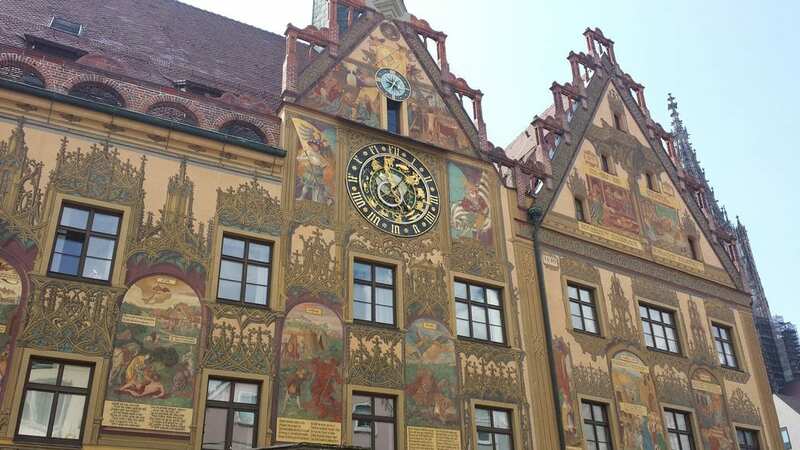 I've already written another blog post about that, which you can check out here – Things to see in Biberach, Germany. You can check out my daily vlog for the day below. Although the day's cycling covered barely 40km, there was a lot going on! 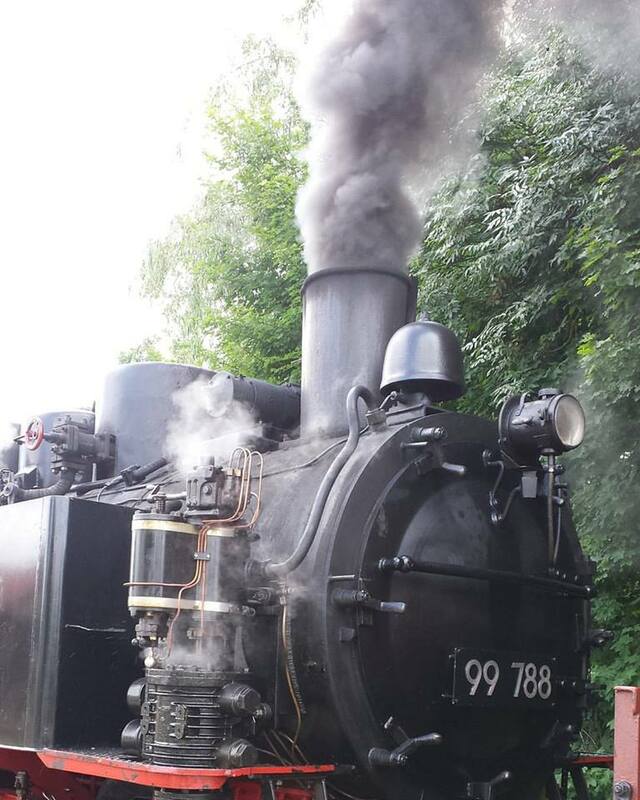 To begin with, I cycled 5kms to the train station at Warthausen, where a steam train operates. A ticket was reserved with my name, and then I took the train through to Ochenhausen. (This distance is easily covered by bike, but if you time your visit with a day the steam train is in use, it's a nice experience). On arriving at Ochenhausen, I met with Sandra from the tourism board (who had kindly planned the entire trip), and we had a cup of tea in a place called Cafe Crumbles. Who would have thought a Scottish inspired tea and cake shop could be found in the middle of Germany?! Fuelled up on tea and scones, we then cycled up to Ochenhausen Monastery, where we were taken on an interesting guided tour. This is often described as a highlight of the Upper Schwabian Baroque Route, and I don't disagree. It's a beautiful place with an interesting history. You can find out more about it here – Ochenhausen Monastery. When the tour was over at the monastery, I parted company with Sandra, and continued along the Danube to Lake Constance cycle route to my final destination of the day at Hotel Gruner Baum in Bad Waldsee. A nice big meal rounded the day off perfectly! I've put the vlog for the day below. This was a day I was really looking forward to. Apparently, in addition to visiting a homestead museum, I was also going to take a tractor driving lesson! The 19km ride to the Bauernhaus Museum was relatively easy, and two super-friendly guides were waiting there to show me around. 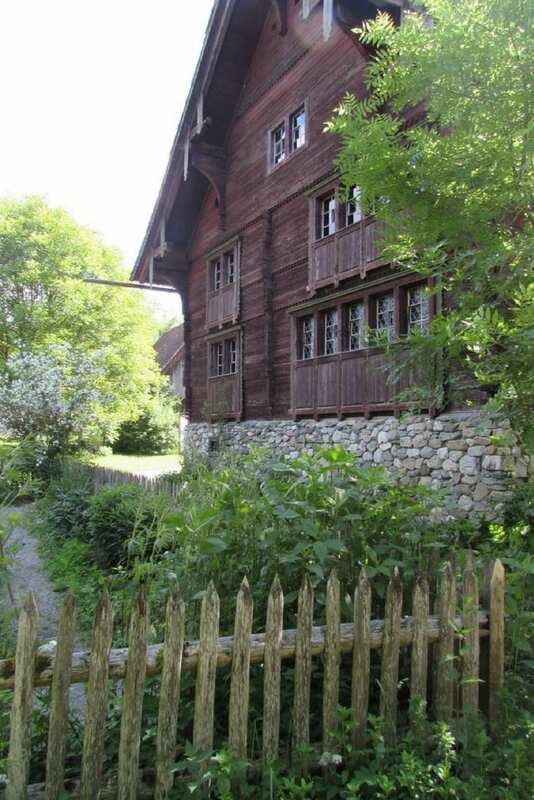 They described how in order to keep local tradition and heritage alive, they are transporting and reconstructing old farmhouses and other buildings to the site. In effect, it's a little like stepping back in time into a rural German village from a couple of hundred years ago. Then, it was on to the tractor driving course! I'd planned how to film it, and both Petra and Andrea seemed to have great fun filming me as I drove the tractor along. It was only when I got back home after the trip, that I realised that something had gone wrong with the camera, as the footage wasn't on it! It was such a shame, as it was one of the highlights of the entire Danube-Lake Constance cycling trip. Note to self – I need to invest in better and more reliable equipment! After lunch and saying farewell, I cycled the 10kms to Kisslegg where I had another tour around Kisslegg New Castle. I wasn't really expecting my guide to be wearing full period costume! Actually, as Hildegard explained, she was giving a tour to a school group after! 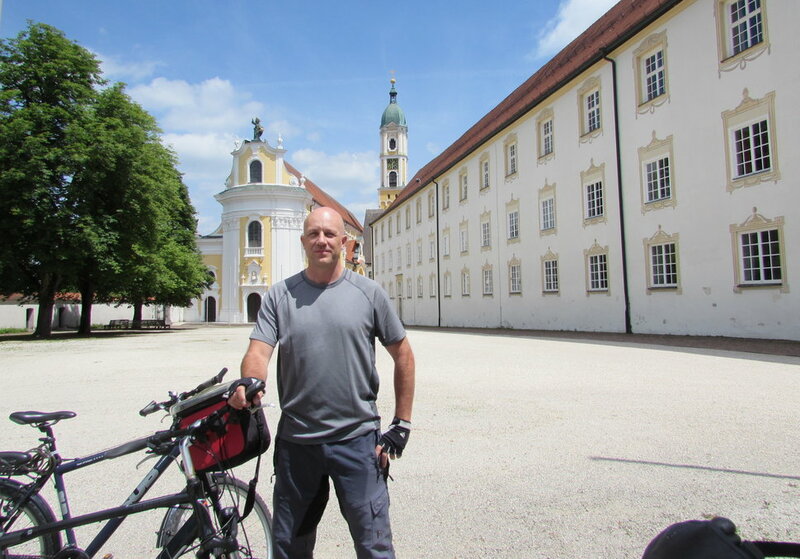 After leaving Kisslegg, there was just another 15kms to cycle to Wangen, where I stayed the night at Hotel Mohren-Post. You can see the full vlog for the day below. The day began with a tour around Fidelis Back in Wangen – a bakery which is over 500 years old. It has gone through many stages of development over the years, and today mixes some of the old values and traditions with modern techniques. It's nice to see bread still being made with less than a handful of ingredients! My recommendation – Drop by here to pick up some cakes and bread when cycling the Danube to Lake Constance cycle route. You will tell the difference! A few weeks before I visited, another person had taken a tour here and created a YouTube video. There's no point in doubling up work, so I've included theirs below! It was then time to leave the bakery, and cycle the remaining 32kms to Kressbronn. This was all relatively easy cycling, and eventually I could see Lake Constance in the distance. For me, Claudis Radl Stadl would be my final destination before catching the train back to Munich the following day. 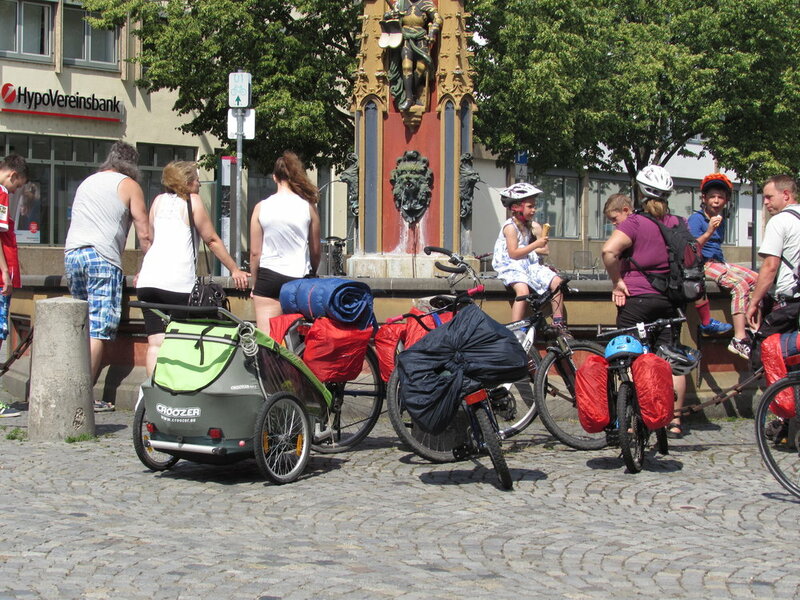 For other people though, it might be the start of the next phase of their cycling holiday in Germany. 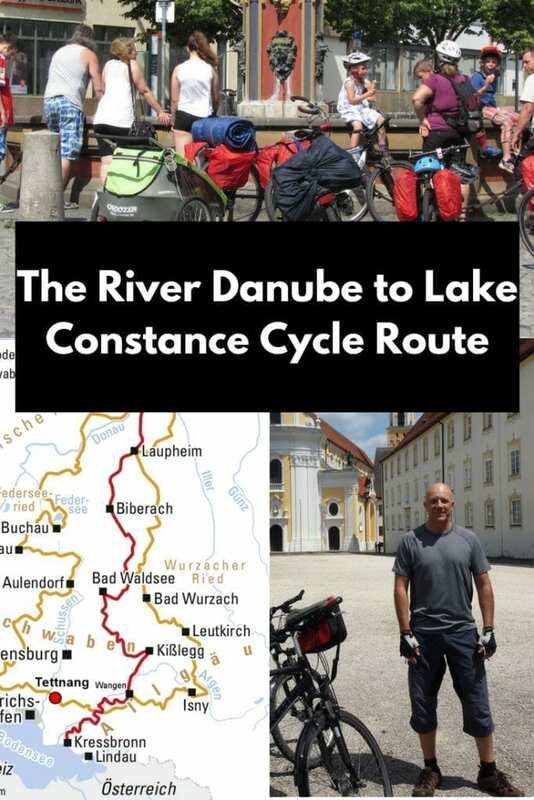 Here is some additional information about the River Danube to Lake Constance cycle route you may find useful when planning a trip. Getting there – The nearest international airport is located at Munich. All the major stopping points, including the start at Ulm and end at Kressbronn are well connected by public transport. The trains are fast and efficient (this is Germany, after all!). Bike Hire – There are numerous places to hire bikes. Mine came courtesy of www.bike-station.eu. It doesn't look like their website is in English, but Google translate will help. If you call them, I am sure someone will be able to speak English and help you out. Accommodation – There is plenty of accommodation along the way in the form of guesthouses and hotels. I didn't see any signposts for camping along the route, but that doesn't mean there isn't any. If you have any questions about the Danube to Lake Constance cycle route, or just want to say hi, please leave a comment below!